Not long until pre season starts so thought I'd get the thread going again for another year. 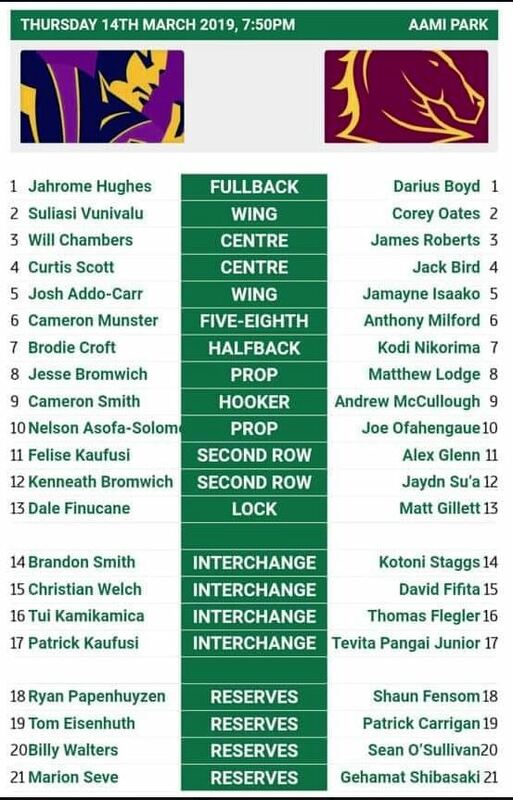 It's a shame to see such a potentially talented player wiped before he started but well done to the Cowboys for acting swiftly on it. Can't wait for kick off. So much crap on TV at the moment. I can't wait either. Got my fantasy team nearly ready. 2 more sleeps. Here's hoping for a great game to sweep away the pre-season garbage. What a contrast to last year when the refs dominated the opening round. Hopefully this is an indicator for the rest of the year. How did the Cowboys not grab Thomas Flegler before the Broncs did ?? A Tully Tigers junior and plenty of size and ticker in the lad too. He had an awesome game. By contrast the Cowboys were absolutely woeful. "It gives us the ability to control the moisture level in the profile through a heavy deluge, but it also gives us the ability to push air through the profile as well," Bankwest Stadium head curator Graeme Logan said. "It almost works like a reverse-cycle air conditioner in that you can push moisture into the profile and also remove it. In a huge deluge of rain - say if you got 60mm or 70mm - you can pull the moisture out of the surface and have it back in playing condition within 20 to 25 minutes. What a top ground the new Bankwest Stadium is. Shielded from most of the prevailing winds,- the punters just about under cover too. 10 registered (Rhys., gberg, drivenunder, Warloq01, mysteriousbrad, Knot, ScubaSteve, 3 invisible), 54 Guests and 3 Spiders online. Generated in 0.011 seconds in which 0.002 seconds were spent on a total of 13 queries. Zlib compression disabled.